BT cancellation fees are the source of many complaints on this website and this saga just shows the types of problems customers are experiencing with BT. I’m writing to explain to you the recent events I have endured while trying to switch my broadband over to BT and start up with BT vision. 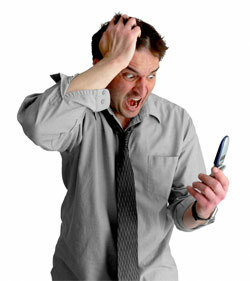 Originally my phone line was with BT as I moved into a new property in December 2008 which was already set up with BT. I still had a contract with Virgin so continued my broadband service with them who originally promised we would also use them for line rental but for some reason I had to keep the line rental with BT. After a year had passed I wanted to consolidate the line rental and broadband which would be much cheaper and easier to manage. We received no notification that the BT contract had been renewed in December and began looking for quotes in February. BT gave a competitive price and we were interested in BT Vision so I got the mac code and emaillled details to Christopher Moore on 16th Feb.
We received letter with Activation date of the 24th Feb.
We checked on the 28th Feb – No Broadband. Called and eventually spoke to Ralph Amato who promised he would look into the situation and see the connection through to resolution. On the telephone approx 30 – 45 mins. Had a call on 4th March both from Ralph assuring that the order could carry on and hadnt been cancelled and will be activated 5 working days from the 28th – 5th March. Called BT spoke with 2 initially very unhelpful people before requesting I speak to customer services where a helpful lady managed to push it through as far as possible and explained the situation to a guy called Tai. He said the order did need to be cancelled but he couldnt take the BT vision off so put me through to someone who could. This time I was transfered blind to Kerry with no backstory explained and so I had to go through the whole saga again. Total time on call : 1hour 26 minutes. Kerry said that the BT vision part of the order needed 24 hours to cancel so the new broadband/BT vision etc could go through together at the agreed bundle price so would call back on Monday to start the entire order again. She called on Monday at 12.15 but I was in the middle of something and she left to process the order promising to call back at 12.30 but I didnt hear a thing. Although she said before she hung up that she thought it would all be up and running in 5 working days. 15th March, broadband still not working. Placed call to BT requesting Manager call back before 5pm (call made in morning). Was called back (not by manager) requesting I check the Mac code as it was believed to be a digit short. Virgin verified I had the correct code as stated to BT but informed me that that code has now expired. I requested a new code. 17th March received packaging in post presumably to send back equipment – don’t know why not requested. Packaging not big enough. 18th March request to speak to an advisor. spoke to Joseph Langton who explained that he didnt believe the MAC code would ever work because of the equipment at the exchange as provided by our current internet provider but couldnt get through to the engineers to confirm. On phone for 25 mins, he promised call back later that day. I was called back by Joseph to be told the broadband was never going to work as the equipment at the exchange was not compatible so the whole order couldnt be pursued. That was that. March 24 called to order larger returns bag to return the BT vision box. New packaging never received. Much to our inconvenience we sent it back in a big box and stuck on the address cut off the packaging. We pursued the order with Virgin media as we had no further options. The other day we received a letter stating that we had to pay cancellation fee of £52. I found this completely unbelievable and thought it must be a clerical error. I called BT only to find that I am indeed expected to pay this fee. However an investigation was launched to check I never received notification of the renewal. I am totally shocked by the utter incompetence of BT and how we have been treated, the time and stress involved to implement a routine upgrade is staggering. I am heavily pregnant and meant to be avoiding stressful situations. I feel under the circumstances we should NOT be expected to pay any cancellation fee and should in fact, be given a credit on our account to cover the time and frustration we have endured at the incompetent hands of BT. I look forward to hearing your opinion on our case. Copies also sent to Watchdog, Ofcom and Feeny and co. Solicitors. I have a issue with a BT Customer who has constantly been changing his IP, for example. I host many sevrers and have banned this person numerous times from my services, due to DDoS and other TOS violations, but he keeps changing IP and breaking our rules time again. I can not seem to be put through to the right department to see if there is any way we can stop him, changing his IP, he has changed it 30 times in two days, just to get round my services. Surely theres a limit to IP's. I am prepared to take this further if BT do not do something about this customers of there's but I am trying to avoidt this. We have recently moved house and I called BT to cancel my broadband and telephone as their service has been appalling for the last 2 years and I could get a better deal with another provider and better service! I was told that I had a one year contract on my line rental even though I had not received a letter earlier in the year stating that my contract was now rolling for a another year. No leeway was given when I complained that I had not received any notification of this and I was told I had to pay. Our broadband however was on a rolling contract and only needed 2 weeks notice to cancel. I did this and was not informed of any additional charges that I would incur for cancelling my braodband. I have now received my final bill and am shocked to see that they have charged me a £25 cancellation fee on my broadband. £25 for cancelling my broadband and they did not have to do any work, its ridiculous!!! I think it is shocking that the feel they have a right to charge customers this extra fee just so that they can make a quick buck! It appears that BT are rip off merchants. Their rooters are absolute rubbish and I can remember not being able to connect to the net during the months of October, November and December 2010, when I called them to tell them their 4th rooter failed, I was told oh but you are out of contract and you have to sign up to a new one in order to get a new rooter. Why? as the rooters were rubbish, they should be replaced free of charge. They lock you in to contracts and rip you off when you are within your rights to cancel. They are thieves and have got worse over the past few years. I am also disgusted with Ofcom they are unhelpful. The person I spoke to this evening was just plain nasty and I got the impression that he hates his job and the callers. What do you want me to write down. He was unable to follow simple instructions and was unwilling to help. Their customer service is poor. The person I spoke to had no customer service skills and should not be working there. Who do we complain to when we have a problem as Ofcom are a waste of space? Why is BT not regulated. Why are they allowed to do as they wish and rip of customers. Provide poor customer service. The Scottish man I spoke to sounded like a thug and was disgusted when I wanted to check when my contract ends. He asked why. What do you want to know for. I hope BT lose more business as they are SCUM BAGS. i was tied into an 18 month contract, which when i agreed to it over the phone i was told it was a 12 month contract, paperwork never arrived till a month after the contract started so i was tied into the 18 month contract. BT didnt fight but they did cut my service almost immediatly but took the full line rental for the month in advance, which i am now fighting to get back, i have tried getting an email address for the CEO Ian Livingstone but it immposible. the good news is i have informed BT that if the monies are not returned within 14 days i will sell the home hub router to recover my money. I have been charged £510 for a 3 week service they keep adding more and more charges to it all the time I didnt put ant order in and didnt cancel any thing when we moved there the phone was already with another company this lot are just hoghway robbers we asked for a recording of the voice that placed the order and they asked for £20, every 2 weeks they keep adding £112, what the hell are we going to do?